With what typically feels like a sieve, draining directly to the government, this guide on tax deductions for home buyers should help consumers plan for and perhaps net a future tax refund instead of filling Uncle Sam’s pockets. Each January we get the subtle reminders that our annual tax filings will be due soon which means employers will start sending W2’s, clients will send 1099’s, and banks will send dividend statements (hopefully) and interest and mortgage statements. Since consumers do not have to file their annual taxes until April 15, the earlier you gain a better understanding of the tax deductions for home buyers, as well as how to calculate your homeowner tax benefits, the easier you will be able to understand both your costs and the tax implications. Regardless of the type of home you purchase, in most instances you will need to be able to itemize your taxes in order to qualify for the below home buyer tax deductions and credits. As a homeowner, your monthly housing cost is comprised of principal, interest, taxes and insurance, commonly known as PITI. Together, the principal and interest comprise your mortgage payment, with the interest paying your borrowing cost to your lender each month, and the principal paying down your loan each month. For most homeowners, especially those with 30 year mortgages, the vast majority of your payment will go towards interest in the beginning. The taxes are the property taxes assessed by your local government each year based on the value of your home. Depending on where you live, this can be assessed quarterly, semiannually, or annually. However, you can elect to have your lender collect your property taxes as an addition to your monthly payment. If you do this, your lender will keep these funds in a separate account for you, called an escrow or impound account, and pay your taxes each year from this account when they become due. The insurance is your fee paid to an insurance company of your choosing to help protect you and your lender if the home was impacted by fire or some other covered disaster. Flood insurance is needed in flood zone areas and is typically covered in a separate policy. Your primary tax benefits annually come from being able to deduct the mortgage interest and property tax you pay each year. As already mentioned, mortgage interest is paid to your lender as part of your mortgage payment each month. Let’s break down the $955 mortgage payment example above to illustrate. Of the $955 total, the interest is about $667 per month, and the remaining $288 goes toward paying down the principal balance of the loan each month. Also, we know the property taxes are $250 per month. If we annualize the $667 per month (actually $666.67) in mortgage interest, we get $8,000 in mortgage interest per year. If we annualize the $250 per month in property taxes, we get $3,000 in property taxes per year. Together these total $11,000, and all or a portion of this amount is deductible when you file your taxes. Otherwise, you will take the standard deduction. How Does a Tax Deduction Help You Save Money? When you file your taxes each year, there is a form called Schedule A: Itemized Deductions where you get to list anything the Internal Revenue Service (IRS) deems eligible for a deduction. On this form there are specific line items for mortgage interest and property tax deductions. But for now, what you need to know is that the IRS allows you to itemize the $8,000 in mortgage interest and $3,000 in property taxes into their respective slots on Schedule A. Doing so will reduce the amount of income you get taxed on by $11,000. Let’s say your W2 showed that you made $90,000 this year. These two items totaling $11,000 get deducted from your $90,000 gross income, which means the income you will actually be taxed on is reduced to $79,000. Multiply the $11,000 in allowable deductions by your 28 percent tax rate. This gives you an estimated annual tax savings of $3,080, meaning you will pay about this much less in taxes because of your homeowner deductions. If you convert this to a monthly figure of $257 and subtract it from your total monthly housing cost of $1,271 (as noted above), it reduces your total housing cost to $1,014 after tax benefits. Not a bad deal for a $250,000 house, and possibly cheaper than renting a comparable home in some markets! Did You Know…The average rental cost of a 4 bedroom home in Houston County GA is $1,225? You can buy a comparable home for nearly the same price! A point (origination and discount) in real estate terms is essentially 1% of the amount of the new or refinanced loan. Using our example above, 1% of $250,000 is $2,500. The upfront cost lowers your interest rate which in-turn lowers your monthly mortgage payment. For new loans, the first tax year after the points are paid is when you can take a deduction. For refinanced homes, the deduction is taken over the life of the mortgage (i.e. $2,500 paid on a 30 year mortgage means you can claim 1/30th of the amount paid or $83.33 per year). You may be entitled to a tax credit of up to 30% of the installation cost of geothermal heat pumps and solar/wind energy systems and up to 30% of the cost of residential fuel cells (max of $500 per 0.5 kilowatt of power) for both new construction and existing homes. Unless the laws change, these credits will expire at the end of 2016. The misnomer is that every change made to a home is tax deductible. While many items do provide a future tax savings (such as putting in new windows or upgrading the air/heating system) many are considered repairs and can not be claimed (such as fixing a sink or drywall). When it comes time to sell your property you may be able to roll the improvements into the purchase price, which will help your tax cost basis, and allow you to double dip by getting those improvement costs absorbed in the purchase price by new buyers who will want the upgrades. Yes, the interest on a home equity loan is deductible, up to $100,000. The key consideration is whether or not the improvements actually increase the value of your home, provide new uses, or extend the life of the property. If any of those conditions can be met the capital improvement (such as adding a new bathroom) is tax deductible. If in doubt, talk with a real estate tax attorney or certified public accountant (CPA) to ensure you can claim the deduction. As always, keep all receipts used in the capital improvement project in case you are audited. A benefit of putting 20% or more down payment on a home is you typically do not need to take out mortgage insurance (exception is FHA loans where the mortgage insurance remains in place over the life of the loan). For those who cannot come up with the 20% to put down, you will need the private mortgage insurance. The good news is if you make under $100,000 you can take a tax deduction. There are additional provisions that allow consumers who earn between $100,000 and $109,999 to get a partial tax break. Check with a CPA to ensure you understand the mortgage insurance rules before trying to take the deduction. If the space, up to 300 square feet, is regularly and exclusively used for business purposes, it is possible a deduction can be made using the newer simplified method (if filing back taxes, before 2013, you can use the older method of determining the percentage of space used for business purposes. Your housing allowance is not taxable but you can still deduct your mortgage and real estate taxes as mentioned above. Your deduction does not have to be reduced by the amount of your nontaxable allowance either. Thank you for your service to God and country! So, you have been getting quality returns as a homeowner, taking many of the deductions mentioned above and feel pretty good about things. You should! Did you also know the tax savings continue when you sell your home in a few specific areas, capital gains, moving expenses, and costs associated with selling your home. Real estate capital gains are the profits made in the sale of your home (basically the sales price minus (purchase price plus any improvements made minus (any depreciation))), which applies to both individuals (up to $250,000) and couples (up to $500,000) when they sell their home. Using our original example, if you sold your primary residence for $325,000, originally paid $250,000 for the property, and made $25,000 in capital improvements, your exclusion on the capital gain would be $50,000 in tax free funds ($325,000 minus $275,000). There are special provisions for both active duty military and those whose spouse died during the tax year…follow-up with your tax attorney to ensure you claim every tax benefit you are entitled to. 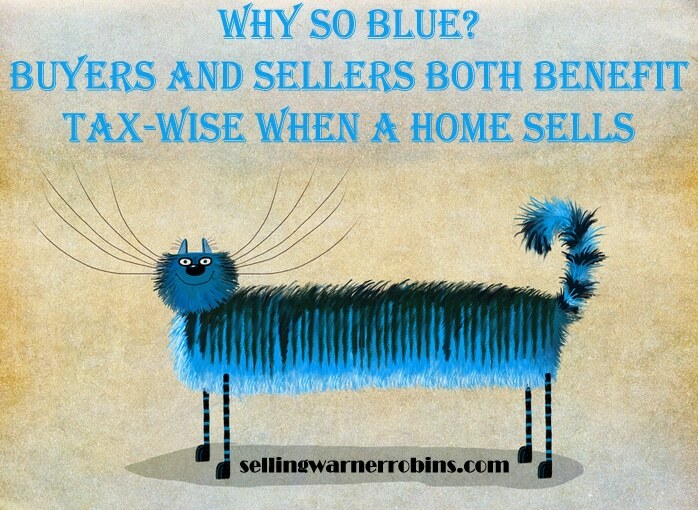 This is one of the best options available to sellers who make a profit on the sale of their main home. In most instances it will not apply to vacation or investment second homes unless they become your primary residence at a future date. Rules apply so do not assume they automatically qualify for a tax savings. If you make a profit above the exclusion amount (kudos to you! ), that amount would be taxed at the current capital gains tax rate of 20%. Homeowners move all the time. It is a fact of life. Fortunately, if you are moving because of a new job, taking another position with your current employer in another locale (at least 50 miles further away from your home than your previous job was), have you may be entitled to certain moving cost tax deductions. You will also need to pass a time test, meaning you have either worked 39 weeks for the employer in the past 12 months. There is an exemption that allows you to file an amendment if you could not meet this time requirement during the tax year because your move did not provide you sufficient time to complete 39 weeks during the year. You would need to complete the 39 weeks immediately after the move and be on full-time status. If you have kept accurate records and receipts, items such as travel costs (transportation and lodging but not meals), packing material and shipping costs incurred, and even the cost of shutting off or having utilities turned on can be deducted. Items such as advertising costs, attorney and Realtor fees, escrow and title services, administration fees, and many other closing costs are not permissible deductions (they may be allowable for the new buyer though). However, you can add those expenses to the cost basis of your home and help decrease or eliminate any taxable capital gains. If you made repairs to improve your home’s marketability within 90 days of the sale of your property, those repairs may be deductible so check the tax laws to see if the fixes you made qualify for a tax break. Finally, you are able to deduct mortgage interest, points paid, and real estate property taxes you paid during the closing. There are many benefits to owning your own home and some are unique and personal to you and your family. 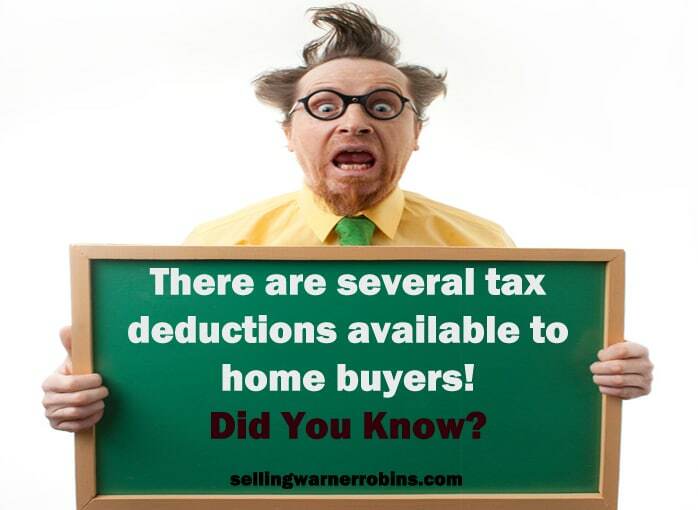 It is good to know that if we can itemize on our federal returns there are numerous deductions and tax savings available to each of us when we buy a home and potentially when we sell one as well. Always consult with a tax professional before finalizing your annual tax filings to make sure your homeowner deductions are done properly. The last thing we want is to cheat Uncle Sam out of his share and have the IRS come calling. If unsure who to contact, check with your real estate agent as they often have a handy list of industry professionals available. 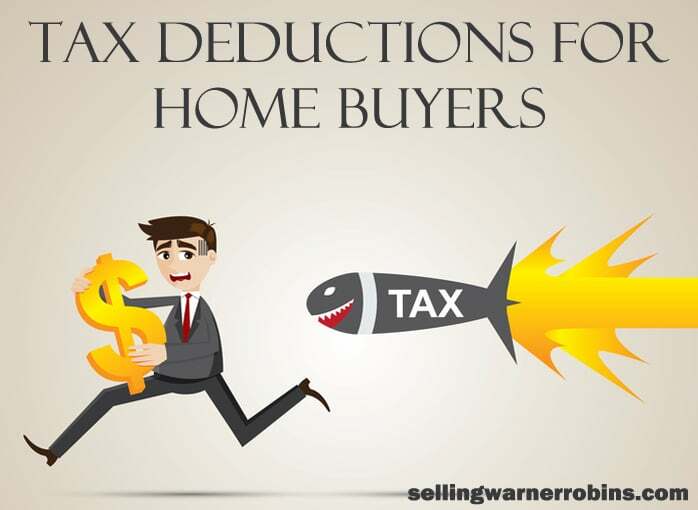 If you found this article that identified many of the tax deductions for home buyers helpful, please take a minute and share it with your readers via social media.